Play video Euro gossip: Is Aubameyang off? And here's the evidence of how important that Juve win is. The Old Lady are creeping up on Napoli, turning around that woeful start to the season into yet another title challenge. Rishi Verma: A great win tonight puts further distance between us and Roma and Inter...and keep pace with Napoli (who won't win the league). Juventus have done it and the champions are still on the march. It's an 11th straight league win and leaders Napoli will be looking anxiously over their shoulders. One touch of class from Paulo Dybala was enough for Massimiliano Allegri's side to keep rolling on towards a possible fifth successive title. Juventus aren't sitting on this lead as Patrice Evra gets forward again to test Szczesny. Roma have offered nothing in response and their unbeaten eight-match run will end unless they can find something special in the closing few minutes. But let's be honest...Real Madrid had enough chances to win three matches never mind one. The fact that didn't take all three points was partly down to the brilliance of Betis keeper Adan, and the profligacy of Ronaldo et al. Joyous scenes among the Betis players and faithful - few gave them a chance of scoring a goal, never mind earning a point. 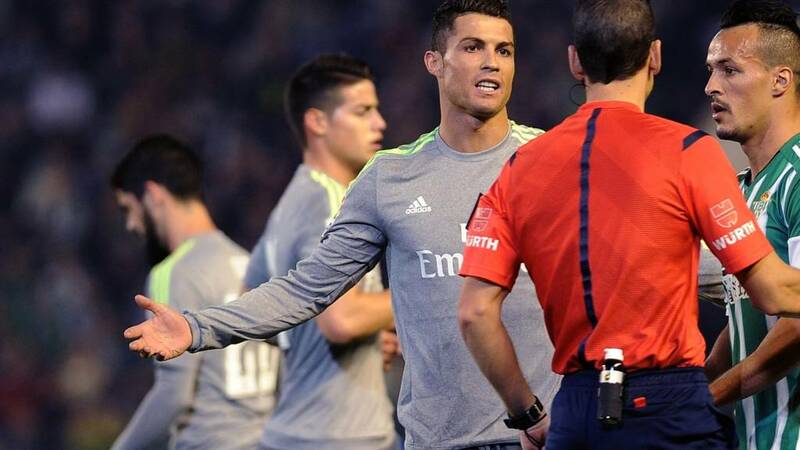 Abdullahi Abdulrahim: Madrid lacked know-how to fight back. Benitez will feel justified with his philosophy of balance between attack and defense. Dave Wood: Best team in Spain? Real aren't even the best team in Madrid. No more drama...it is all over at Estadio Benito Villamarin. Madrid boss Zinedine Zidane shakes his head as he quickly disappears down the tunnel. He must deliver his first non-victorious post-match team talk. Paulo Dybala finally breaks the deadlock with a lovely little finish. Paul Pogba hadn't done much but he comes alive with a neat pass through to Dybala who helps the ball on and then steers it across Roma keeper Szczesny and into the far corner with angled left-footer. An 11th successive win is in the champions' sights. The clock is beating Madrid now. Into the last minute - any more drama? A shot on target! Wojciech Szczesny could have thrown his cap on it - had he been wearing one - but at least Juve sub Juan Cuadrado showed some intent. And that sparked the home side into life, Patrice Evra then letting fly with an angled drive which was more testing for Szczesny, who blocks bravely and is winded for his troubles.